It is difficult to undertake a proper study of bankruptcy and bankruptcy law without a fundamental understanding of debtor/creditor relations. For that reason, this course is broken into two major components. The first half of the course will discuss all aspects of the debtor/creditor relationship and will encourage a student to understand critical concepts such as how debt is created, secured and eventually relieved. Through the use of case studies, we will comprehensively and critically explore the various types of liens and debts that can arise, and how those debts can be collected, prioritized, and (hopefully) repaid. With this understanding of the critical relationship between debtor and creditor, the second half of the course will focus on the three major types of bankruptcy proceedings: Chapter 7 (liquidation), Chapter 11 (personal reorganization) and Chapter 13 (business reorganization). Through hypotheticals and drafting exercises, the class will demonstrate how a bankruptcy case unfolds, from the moment a debtor makes contact with a lawyer until the case is closed. With an emphasis on how to draft documents, this course aspires not just to teach “about” bankruptcy, but to teach how to “do” bankruptcy. Summarize how debt can be created both voluntarily and involuntarily. Describe how security interests in both real property and personal property are created and how they are perfected. Explain how credit ratings are determined and maintained as well as explain the restrictions on accessing credit records under the Credit Reporting Act. 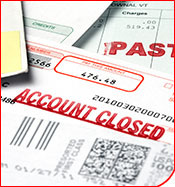 Illustrate the various methods of collecting debt as governed by the Fair Debt Collection Practices Act. Assist in obtaining and collecting a final a judgment. Articulate purposes of the U.S. Bankruptcy Code. Draft the documents necessary to proceed with a case under Chapters 7, 13 and 11 of the Bankruptcy Code. Analyze and evaluate basic issues that arise in the administration of a bankruptcy case.